One (teaching) size fits all? Experienced educators know that’s not how it works— especially when it comes to teaching students with learning disabilities. Not every student responds well to traditional, classroom-based teaching methods, and what makes one student’s eyes light up in understanding, might leave another as confused as they were before the start of class. One in five children and adults in the US are affected by learning or attention issues, and approximately 8% of children aged 3-17 are reported as having been diagnosed with a learning disorder. While personalized learning for those with learning disabilities might be the ideal, adapting teaching methods to individuals can be difficult in a large classroom, and teachers don’t want students with learning disabilities to feel singled out. Many teachers are turning to tactile learning and evolving technologies as a way to engage students across different learning styles and needs. As part of a multi-sensory learning approach, tactile technology can help students across a range of skill development areas and a broad range of subjects. Such an approach is especially helpful for students with learning difficulties like dyslexia and similar impairments such as dyscalculia and dysgraphia—which affect math and writing understanding and abilities. Assistive technology that plays to the student’s strengths and works around their challenges has already been making its presence known in the classroom—from interactive white boards, to the more recent addition of 3D printers. More schools for students with learning disabilities are embracing technology, and makerspace tech like 3D printers, cameras and robotics kits can now be found in educational facilities across the USA and around the world. The results are clear: hands-on learning with physical tools helps students to understand ideas and concepts that are otherwise hard to grasp, enables interest in industries related to technology, and can be particularly effective in cultivating interest in STEM subjects. And there’s plenty of successful examples of this in practice. Tactile teaching—using physical, demonstrative, auditory or visual objects—can help keep students engaged and helps them focus their minds on the present. Tech that encourages people to physically be involved like the Raspberry Pi, 3D printers, and of course 3Doodler bring a new or relatively unexplored aspect of learning into the classroom. Students who struggle with ADHD may vastly prefer tactile learning methods over auditory or visual learning styles. Having to create a diorama or a model might mean students understand better than if they were asked to simply imagine a spatial arrangement, the concept of geometry, or complex equations in their head. "When students are given the tools to physically create a model, they can see exactly how all the parts come together to function as a whole." 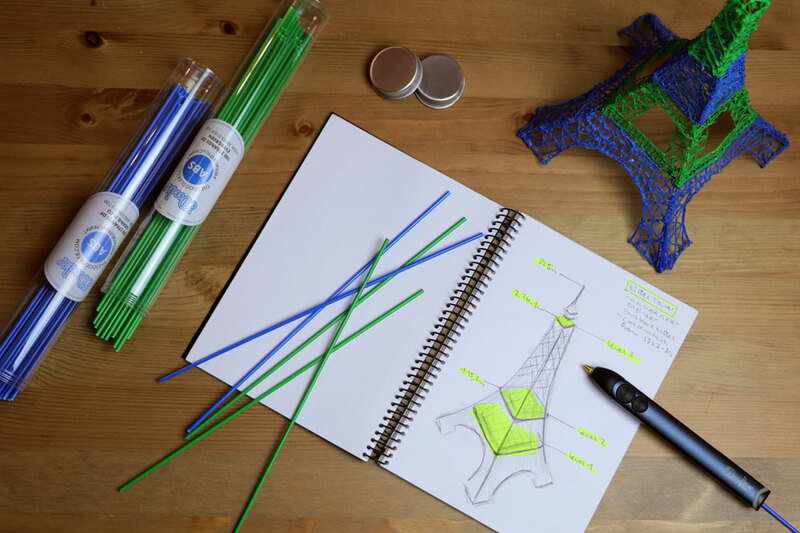 Asking a student to create a model of the Eiffel Tower, for example, demands much more due diligence than just getting them to sketch it out. It may be difficult for someone who has dyslexia or ADD to concentrate long enough on understanding why the tower’s structural integrity relies on many different factors, but physical tools would help engage them enough to grasp why certain shapes work better than others, how math factors into construction, and why some materials work better than others. Teachers have found that using tactile teaching methods in subjects like biology can reap better results than when students are asked only to visualise a concept. When students are given the tools to physically create a model of a cell, for example, they can see exactly how all the parts come together to function as a whole. Consider if students who have dysgraphia are asked to explain why a beetle looks the way it does—if they can create their own beetle and physically point out why it has adapted to its environment, they stand a better chance of being able to contribute to a class discussion than if they are forced to fall back on writing it out. 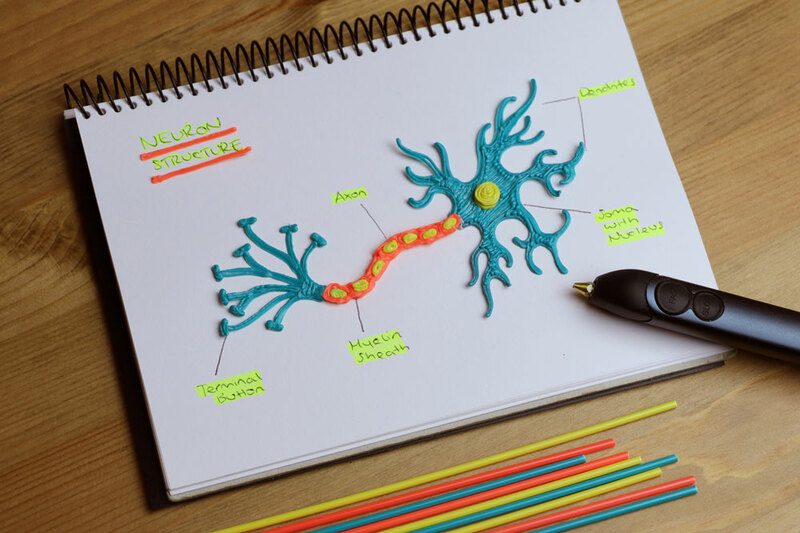 Dyslexic students, who may have visual or auditory deficiencies, may find that they excel when they apply tactile or kinesthetic methods to their learning. People who have trouble reading words, letters or numbers could benefit from creative solutions such as making their own words, letters or numbers (handy for those with dyscalculia) on plastic blocks helps them process sequences or equations better. Across the board, in subjects that range from the arts to hard sciences, tactile technology has proven tremendously beneficial. When it comes to adapting for students with learning disabilities, it’s time to put down those pens and pencils and pick up a tool of a different sort. With new tactile tech, your students can have their hands (quite literally) full with tools to help them grasp the practical skills and knowledge that comes from innovative learning. Get out there, and be creative. Your students will thank you for it. 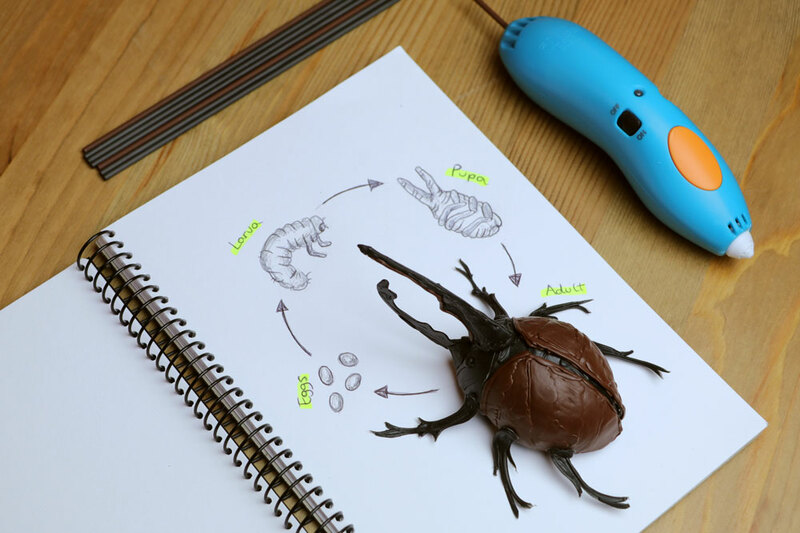 Looking for more ways to bring 3Doodler into your classroom? Check out our dedicated EDU section for classroom tips, lesson plans, and exclusive EDU bundles for educators.